Get Noticed!!!! In This Beautiful Blue ?? 2015 Nissan Sentra SR. 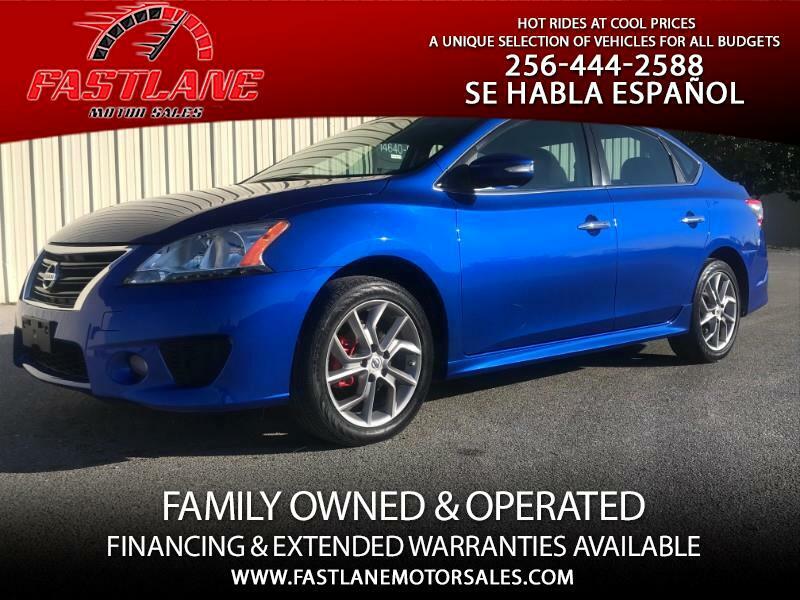 This Late Model Nissan Is A Like New Compact Sedan That Combines Affordability, Comfort and Reliability. CarFax Certified 1-Owner!!!! ONLY 33K Miles!!! Save Plenty Of Money With This Sentra, Amazing Fuel Economy! Very Easy To Drive, Perfect 1st Car! Only $14,450 Plus Tax & Title For AL Residents.